Professional, Associate, Student, Institution, and Sustaining memberships are available. CARFAC SASK membership includes membership in CARFAC National, the collective voice of Canada's visual artists. 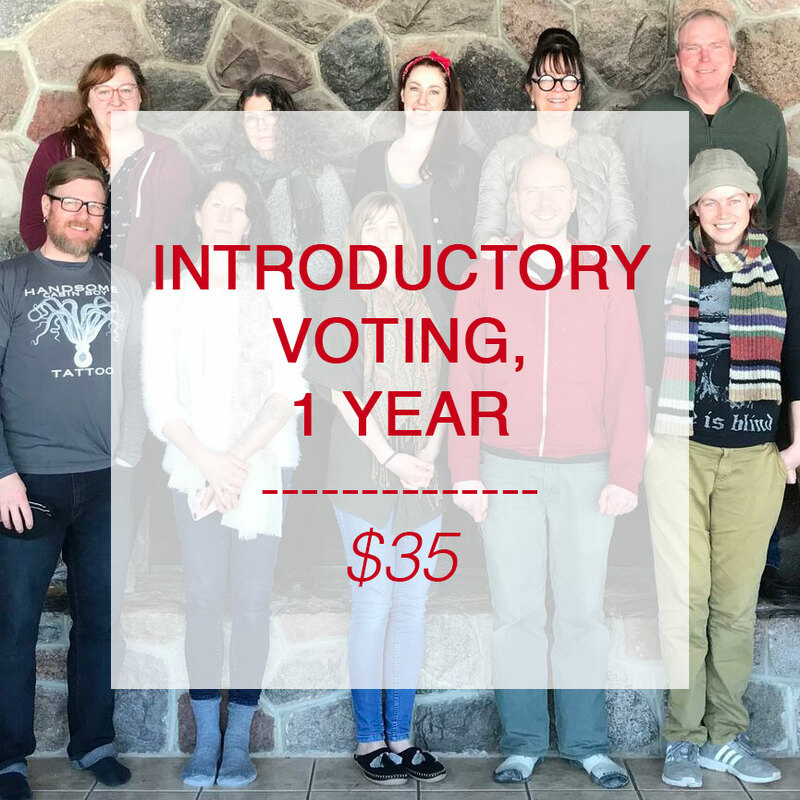 Full membership, which includes voting privileges, is reserved for professional visual artists who reside in Saskatchewan. The full membership fee is an allowable business expense for artists. JOIN CARFAC AND GET INVOLVED! To pay by cheque or money order, send by mail with our CARFAC SASK Membership Application. Purchase your Introductory Membership online now! Purchase online below, or send a cheque or money order by mail with our CARFAC SASK Membership Application.